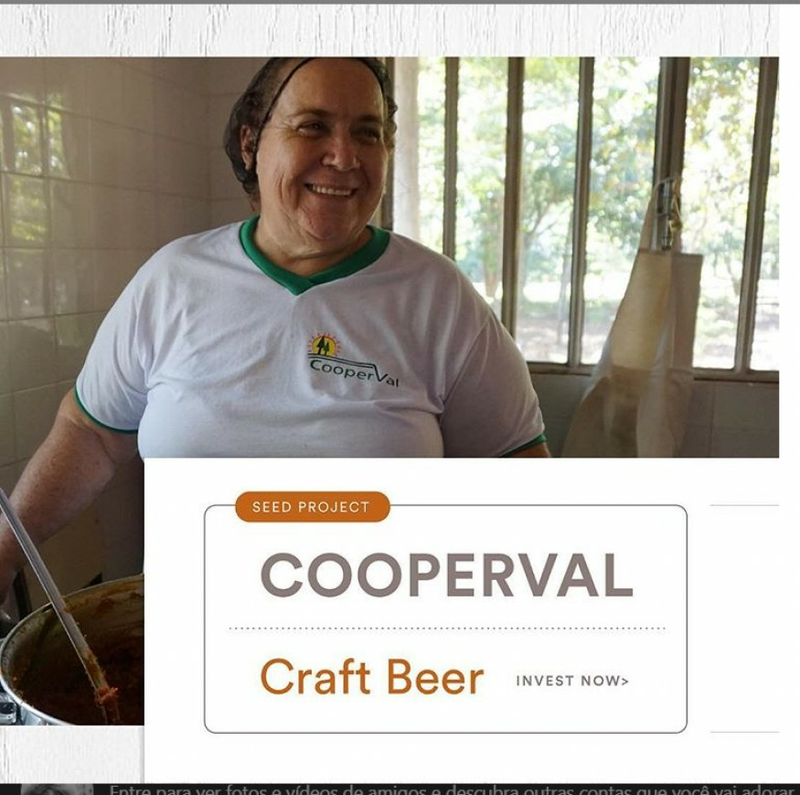 The Seed Project Cooperval Craft Beer started with a group of Brazilian female family farmers. They have been producing different types of food using native fruits from Cerrado (the Brazilian savannah). Their goal was to boost the community’s income. After the initial study was carried out, Moeda’s Technical Team developed a business plan that focused on the baru, a traditional chestnut from the region, and also suggested a partnership with a local brewery to develop the craft beer. The fruit, when sold fresh, produces very low returns to the producers. As an ingredient to the beer recipe, it can be sold at a much higher price. Therefore, a recipe was devised and 1500 bottles of beer were produced. When we created an Impact Investment, we managed to attract supporters from all corners of the world who used our crypto currency (MDA) to invest and benefit from the transparency Blockhchain technology can offer. Because Moeda’s focus is to humanize finances, it has become a vehicle that allows people to invest in people - exactly like in the old days. It makes use of technology to build trust among all stakeholders. The baru beer was approved by beer experts and made it possible for the cooperative to pay pack the initial investment, including interest rates, 10 days before the deadline. The investors received a 10% bonus in MDABRL (a Moeda’s token) in advance. This proved that investing in impact is indeed great business. Moeda uses blockchain technology to connect impact investors to projects that implement the SDGs and brings about change to several communities. Through our Seed Program, we facilitate access to funding and offer technical support to businesses in order to deliver projects that will ultimately promote a fairer world.